Amante and the team on board the Sydney 36CR are very active in all the racing around Sydney. 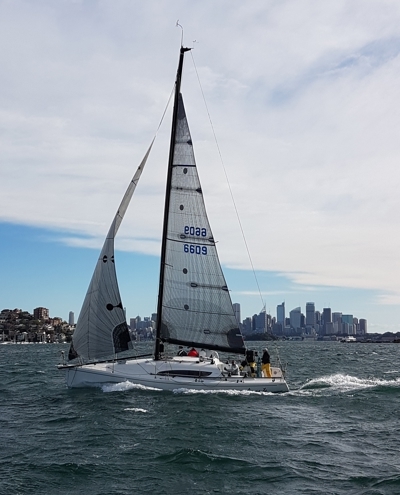 They have competed in multiple Sydney Gold Coast Yacht Races claiming 6th on PHS in the 2015 race and 6th place on IRC in the 2017 race. They will be looking to try and repeat their top 10 finish in this years race but will have to see how the weather is going to unfold. The team also compete in the Short Ocean Pointscore and Ocean Pointscore Series throughout the summer which prove to be great training events for the longer races.